Deep-cleaning your carpets and upholstered furniture can be an eye-opening experience, especially after you host a bunch of guests for holiday get-togethers. So if you’re sick of renting carpet washers every time you spot a new stain, you can buy your own for just $99 today. 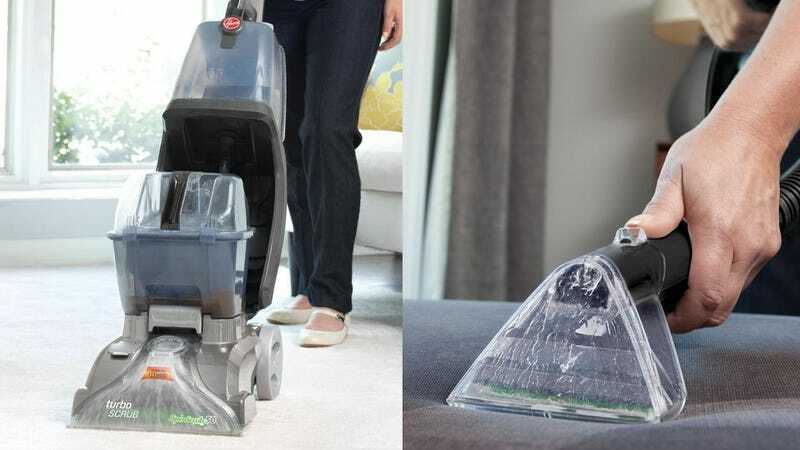 The Hoover Turbo Scrub Deluxe has a squeaky-clean 4.5 star review average, and this bundle includes some accessories designed just for pet owners.